Viktor Yanukovych’s trial for treason will resume today. The controversial former president won’t be present; his exact whereabouts are unknown, although he’s widely believed to be in Moscow. Claiming he was never formally notified of charges, Yanukovych has refused to participate in what he calls a “politically motivated” trial. Those charges are linked to allegations that he facilitated Russian threats to Ukrainian sovereignty. The prosecution has submitted letters between Mr Yanukovych and Vladimir Putin, in which he urges Moscow to send troops in the midst of pro-European protests. The letters were sent in March 2014, shortly before Yanukovych’s exile and the annexation of Crimea. 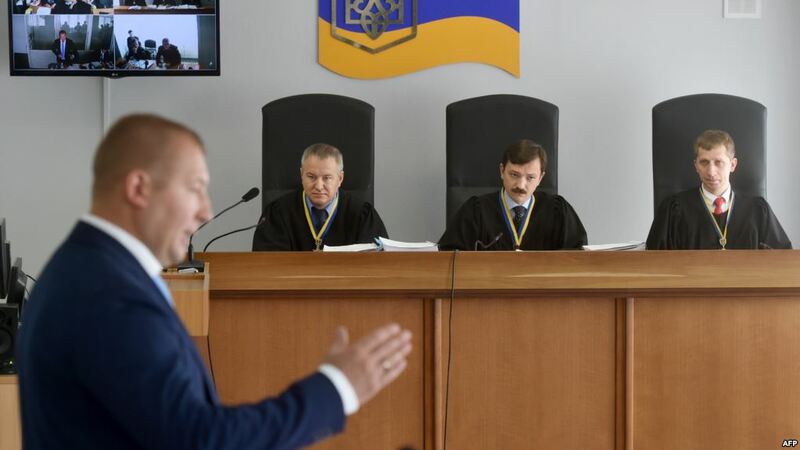 Ukraine’s inner conflict between east and west goes well beyond this trial. 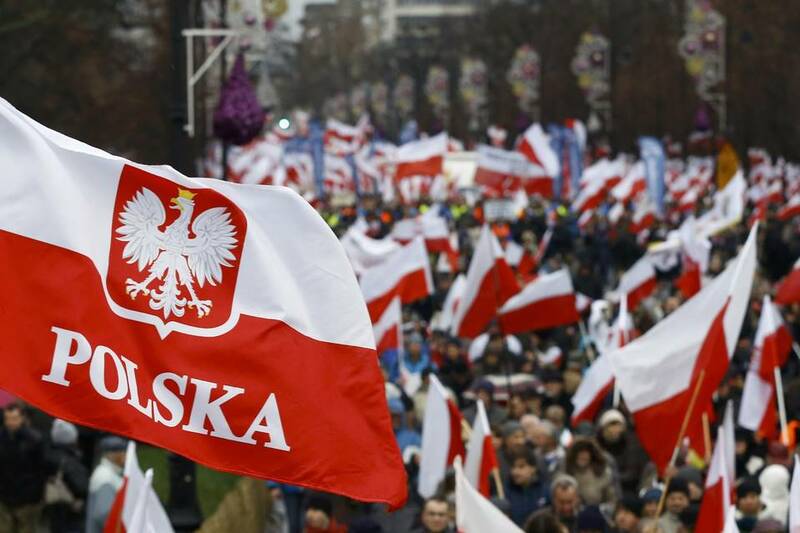 Riding the pro-European wave from protests three years ago, members of parliament are confident about legislation ending visa-free travel for Russians. Dwindling pro-Russian sentiment in the east certainly doesn’t hurt their chances. Accordingly, as the border conflict perpetuates, Kiev still expends resources in combatting Russian-backed separatists. A guilty verdict for Yanukovych could further dissipate peoples’ support for Russia. Maldivian MP Faris Maumoon’s trial for identity fraud continues today as each side submits arguments. Maumoon was arrested last month for utilising the logo of President Abdulla Yameen’s Progressive Party of Maldives during an opposition press conference. The arrest was perceived as an attempt to silence a multiparty opposition aiming to “restore democracy” and combat Yameen’s absolutism. 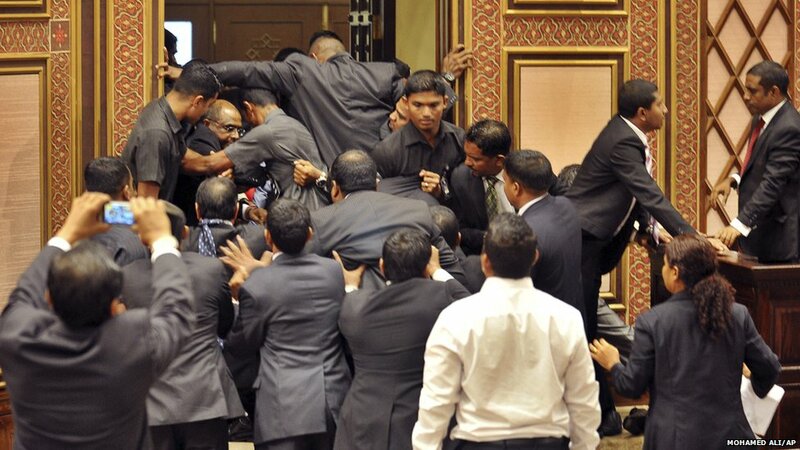 Maumoon’s trial exemplifies how the president can erase dissent in parliament. The judiciary skews towards him, and government police have even limited Maumoon’s contact with counsel. With the opposition subdued, Yameen can turn a profit by unilaterally giving 16 Maldivian islands to China. However, his dictatorial politics have geopolitical consequences. In China and India’s quest for regional hegemony, Malé’s preference for China strengthens the possibility of a Maritime Silk Road, threatening Indian security while boosting China’s economy. If found guilty, Maumoon faces a maximum sentence of nine months. He is only the latest opposition lawmaker to be removed from office. As Yameen becomes more untouchable, China is poised to reap the benefits.